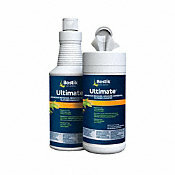 Bostik's Best Adhesive is a one-part, trowel applied, moisture-cure adhesive . Once cured, its superior elastromeric properties provide a tough, flexible, tenacious bond to wood flooring. Specially forumlated for high bond strength and flexibility with a fast cure rate. 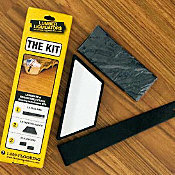 The product is best when applied with 1 new trowel per can (accessories tab for the product you are purchasing has recommended trowel needed). Number of cans recommended is based on manufacturer installation application guidelines and square footage per can is not guaranteed.